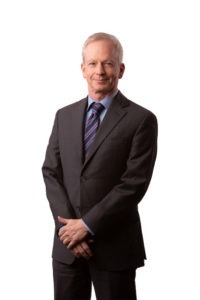 Charles L. Gallagher is a litigation attorney and senior counsel with Slovak Baron Empey Murphy & Pinkney LLP. Currently, Mr. Gallagher’s practice is primarily complex civil litigation (real estate, eminent domain, contracts, municipal law/compliance and probate litigation), Federal Native American law, and appellate work. In the last five years, Mr. Gallagher has successfully prosecuted and defended actions on behalf of several commercial clients in a broad range of actions including breach of contract, fraud, land use and regulatory compliance. He has also represented municipalities in connection with the wind down of California’s Redevelopment Agencies and related litigation. Mr. Gallagher also has an over 85% success rate in representing both appellants and respondents at the Courts of Appeal, most recently as the prevailing party in the 2015 published decision in Cobb v. Ironwood Country Club. Over the years, Mr. Gallagher has represented individuals and companies on a wide variety of issues, including unfair competition, trade secrets, banking and financial services, commercial foreclosures, fraud claims, construction disputes, boundary disputes, and contractual rights and obligations. In addition to an extensive law and motion practice, Mr. Gallagher was awarded an American Jurisprudence award in Constitutional Law: Federalism while in law school. Successfully defended one of the leading Canadian commercial real estate financing companies in a breach of contract, fraud, and usury action related to the development of a two-hundred plus housing project in California. Successfully defended commercial real estate lending institutions in several breach of contract and commercial development foreclosure actions. Worked closely with attorney Shaun M. Murphy in the successful defense of one of the largest waste industry companies and its subsidiaries in a breach of contract and fraud action related to the processing of recyclable materials. Successfully prosecuted appeals involving complex real property title and easement issues, including one of only a handful of decisions setting aside a real property tax foreclosure sale. Part of litigation team successfully prosecuting multi-million dollar probate litigation involving complex will and trust contest issues. Negotiated favorable settlements for clients in three government state regulatory actions involving land and water use issues.